Jockey Brad Stewart rides Zoustyle to win at the Sunshine Coast Turf Club. Premier trainer Tony Gollan refused to get carried away after his impressive two-year-old Zoustyle scored an impressive win at Caloundra. Zoustyle ($1.40) made it two wins from as many starts when he beat Red Doulton ($11) by 3 1/4 lengths in the QTIS Two Year Old (1000m). His time of 58.81 seconds was just outside the class record of 58.75 which was a good effort on a soft track. 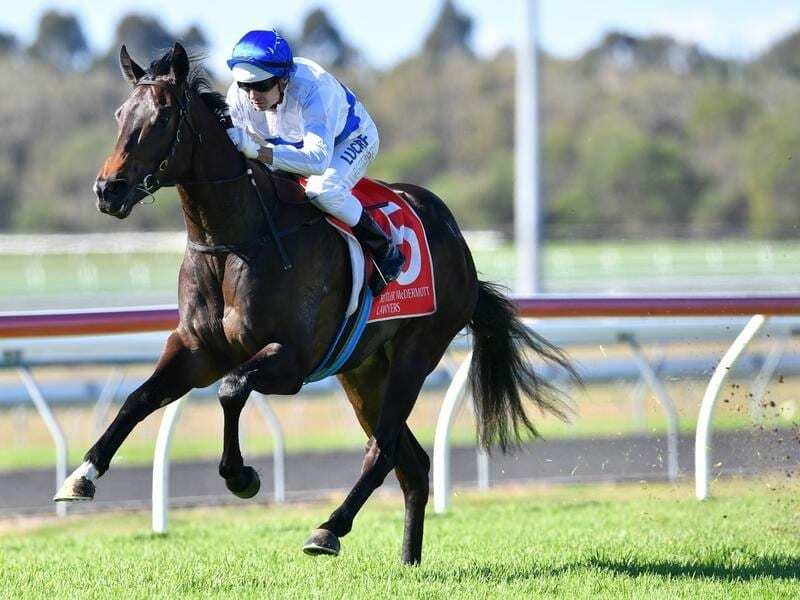 The gelding ran a class record for 100m at Doomben at his first start again on a soft track. Zoustyle has been hailed a future champion by racing critics but Gollan has steadfastly refused to join them. “He is a nice horse and that was a good effort again but I would like to see what he can do against better class horses before I start getting carried away,” Golan said. Jockey Brad Stewart took Zoustyle to the lead and wasn’t hard on the gelding in the straight. “It is a bit scary how good he could be,” Stewart said.